James Beard Foundation’s Outstanding Chef of 2011, José Andrés, is all about American cuisine – and we are talking old school American classics with a foundation in the early cookbooks of America from the 15th to the 19th Century. Who better to take us into the July 4th weekend and in the run up to the opening of his latest restaurant on Independence Day – America Eats Tavern – a pop-up venture of sorts in associating with the exhibit at the National Archive, Washington DC, What’s Cooking, Uncle Sam? The Governments Effect on the American Diet. LL: For Made in America you kindly gave me your recipe for Boneless Chicken Wings – what was the inspiration for this dish? José Andrés: Chicken wings were a regional thing but they are something you see everywhere in America now, some versions are very good, others are terrible. I like the idea that it started as a way of serving a cheap cut of chicken, something people didn’t value very much. Actually the wing can be very tasty. LL: What American comfort food do you particularly like? In LA in January at the SLS Hotel with Ferran Adria and Juan Mari Arzak you talked about Umami Burger and also food trucks, anything to add about the American food scene and taking something that’s considered everyday and low-brow and elevating it to gourmet? time talking about school lunch and nutrition education but I don’t want to give the wrong impression. Sometimes there is nothing better than a hamburger. The point is, make it the right hamburger. That doesn’t mean you have to make the whole experience formal. I think that is one of the things I like about food trucks, many of these people are actually doing something very good in the most informal of settings. You are eating on the street but it can be amazing. LL: Let’s talk about the old American recipes in Made in America, we share a love of old cookbooks. 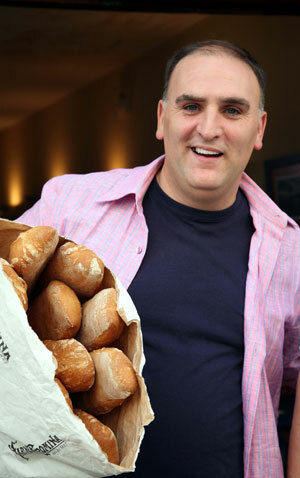 José Andrés: I love vintage cookbooks. It is my big passion. I am always looking for books to buy. My wife is going to kill me one day. Seems I am filling up the house with them. I love vintage cookbooks for many of the same reasons I love cookbooks: there is no better window on to a culture. With vintage books you get a window to the past, how people ate in a time before. LL: What has America taught you about food? José Andrés: I spend a lot of time explaining to the rest of the world that Americans don’t survive on a diet of hamburgers alone. The truth I was as guilty as the next European of thinking that or something like it until I came to America. What I found was a much richer, much more profound tradition than I expected. American food is actually more complex and layered than outsiders might expect. It is at the table that the idea of a melting pot really comes to life. The heritage of the many peoples who have lived here and have found their way here have combined to create a unique national cuisine. LL: What American comfort food do you cook for your American daughters? José Andrés: Like many American kids my daughters love macaroni and cheese but I don’t just open the box. You can do something equally fast but much better. Boil pasta and use good quality olive oil, creamy Greek yogurt and a strong flavored cheese grated over top. The important thing is to use a microplane which gives the cheese a lot of volume. LL: Where does “molecular gastronomy” fit in to American Comfort food? At The Bazaar, there are many playful reincarnations of American favorites, the philly cheese steak being one good example. 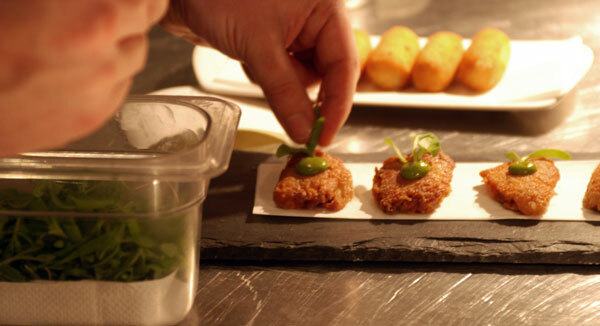 José Andrés: First of all the term molecular gastronomy should be out. I am not doing molecular anything. I am cooking. Period. Molecular gastronomy means nothing to me. It is not what I do. Science has always been part of cooking since day one. All we are trying to do is better understand the why of things in cooking. People have built up this idea that is all very crazy and weird but really everything we do in the kitchen has a scientific explanation behind what happens. Deconstruction is the idea that you can break something down to its parts and then put it back together to come up with something new. I love Philly Cheese Steak, so that was one I had to try. José Andrés has partnered with the Foundation for the National Archives in support of the National Archives’ exhibit, What’s Cooking, Uncle Sam? The Government’s Effect on the American Diet, which opened June 10th, 2011, in Washington, DC. As an extension of the exhibit Andrés has created a temporary American restaurant – American Eats Tavern which opens July 4th. Located just steps away from the National Archives building, Andrés and partner Rob Wilder have transformed their renowned Café Atlántico restaurant into America Eats Tavern with a menu and environment inspired by the exhibit and the rich history of American cooking. Andrés has also been named Chief Culinary Advisor to the exhibit What’s Cooking, Uncle Sam? contributing to both the exhibit catalog and recipe book, as well as collaborating with the National Archives on a series of public programs that will focus on the role of Government in our daily diet. America Eats Tavern is named after the Works Progress Administration (WPA) writers project of the 1930s. Another forward thinking distinctive Andrés restaurant – but this time truly American – America Eats will offer a new take on American classics and celebrate native ingredients and some long forgotten dishes, from burgoo to oysters Rockefeller – based on recipes from the 16th century through to the 19th century. 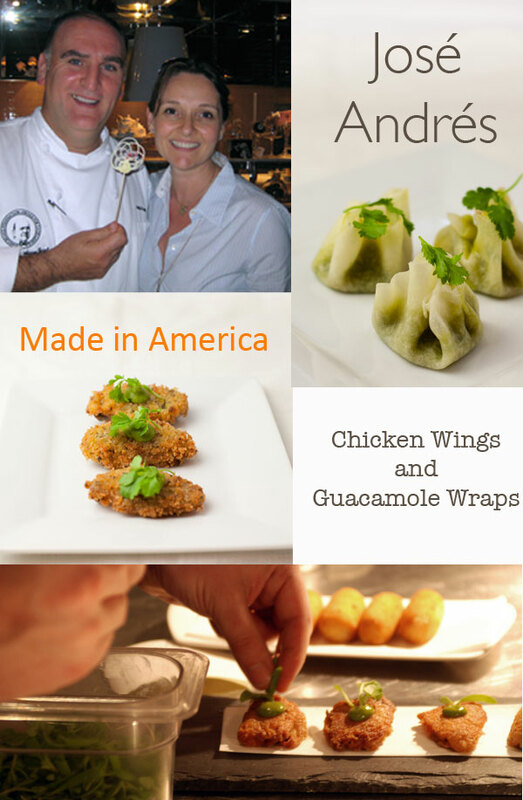 With recipes and stories collected through extensive research, and with help from the National Archives and a culinary advisory council of chefs and scholars, the menu will showcase the fascinating history of our nation one plate at a time—whether it’s humble mac and cheese (not unlike that which Andrés cooks for his daughters maybe?) to the origins of New England clam chowder or the introduction of grapefruit to America. A casual tavern menu will be offered on the ground floor, while a more refined and elegant menu will be featured on the second and third floors. America Eats will also be a six-month “benefit” destination in support the National Archives Experience exhibition program. Profits gained from the restaurant during the run of the What’s Cooking, Uncle Sam? exhibit will be donated to The Foundation for the National Archives. To bring this restaurant to life, José Andrés’ ThinkFoodGroup is partnering with sponsors such as the Dole Food Company to support its philanthropic goals, and to aid in the effort to promote awareness and discussion on national food policies and health and nutrition issues. So dine and do good! Café Atlántico, D.C.’s beloved Nuevo Latino restaurant ended its run at 405 8th Street NW, on June 12, 2011. Originally created by partner Roberto Alvarez, Café Atlántico has had three different locations over the past 25 years and now Andrés looks forward to finding the next home for Café Atlántico. Minibar by josé andrés will continue to operate its six-seat bar on the second floor of the new America Eats. The décor has been transformed from Café Atlántico to America Eats under the direction of New York design firm SEED. America Eats and minibar by josé andrés will reopen on July 4th. America Eats will be open daily for lunch and dinner. Minibar by josé andrés will continue to offer its innovative menu Tuesday through Saturday with two seatings per night, 6pm and 8:30pm. At the end of the exhibit What’s Cooking, Uncle Sam? 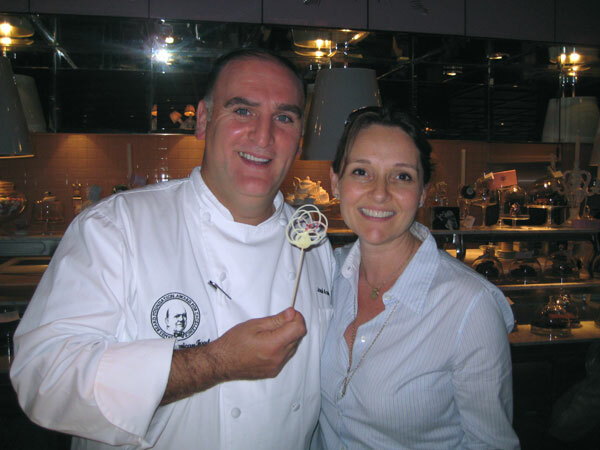 in January 2012, ThinkFoodGroup will begin preparations for the next phase of 405 8th Street, NW, and minibar by josé andrés. I’m planning my trip to the capital right away – need to have some mac and cheese from Andrés! José Andrés’ recipe for Mac and Cheese with a comparison to Mary Randolph’s recipe from 1824. Wow! Looking forward to seeing this book… and yes, let’s definitely do the farm! I’d love to get all of you stumble gals up here one day!